Join our email list and keep updated on what's happening. Please check the box below to verify you are not a bot. Join our email list and keep up updated on what's happening. Once you have completed all fields, you will complete registration by clicking the PayPal button to finish your entry. The Donald Ross Course is an original Donald Ross layout and is at the center of Savannah's golf community. The course is both challenging and rewarding with twists and turns, subtle elevation changes and cleverly conceived greens. The Donald Ross course offers a playable challenge to every level of golfer! Named for legendary characters in Bacon Park's history, The Legends nine-hole course offers the most unique layout in Savannah. The enormous, undulating greens are unlike anything Savannah has ever seen and offer an exciting challenge. The Legends course gives golfers a completely different golf experience! There's no time like the present to play golf! Click below to schedule a tee time or see our rates! Designed by legendary golf architect Donald Ross in 1926, Bacon Park Golf Course is the City of Savannah's only municipal golf course. The course is owned by the City of Savannah and managed by OC Welch Golf Properties. Since 2014, the course has been painstakingly restored to Donald Ross' original design, making Bacon Park a true diamond in the rough. In addition to the Donald Ross Course, Bacon Park features the 9-hole Legends course and a lighted practice area with a full range, chipping and putting greens. Our Pro Shop is fully stocked with beautiful Bacon Park merchandise as well as the latest and greatest golf equipment. Golfers can schedule private or group instruction with our experienced golf professionals, and we regularly offer adult and junior golf instructional clinics to give everyone a chance to learn more about the great game of golf. For nearly a century, Bacon Park has been the center of Savannah's golf community. Check our calendar for upcoming events and tournaments, and be sure to sign up to receive our weekly newletter, What's Cooking at Bacon Park. Every day is a great day to play at Bacon Park Golf Course! 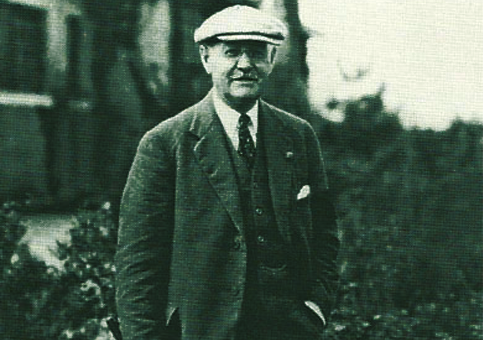 Transplanted Scotsman Donald Ross transformed the American sports landscape with his course designs. At his death in 1948, he left behind a legacy of 413 courses, including Bacon Park Golf Course. His work also included famed courses such as Pinehurst No. 2 in North Carolina, Seminole Golf Club in Florida and Oakland Hills Country Club in Michigan. More than 100 U.S. national championships have been played on Donald Ross courses, and his name still resonates among people who love golf.